This week we’ve showcased influential personalities on our Tournament Seeker Testimonials page, but when you receive random emails like the one above, it inspires us to keep moving forward. We’re coming up on two months of being live around here and just like the first month, exciting and often serendipitous-feeling things are happening all around us. We’ll showcase a more detailed “Month 2 Report” next week, but with the growing amount of encouraging testimonials, we wanted to take a moment share our appreciation for so many of you who have shared your support and excitement towards this unique project. 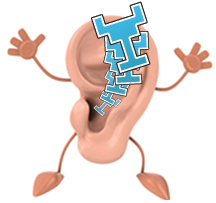 Also, keep it coming…we’re ALL EARS! In fact, we would love to hear from you and we’ve made it ultra easy. Simply use the email form below and we’ll try to highlight the best comments either right here on the website or on the Tournament Seeker Facebook Page. Even better, maybe we’ll blast you out over the Tournament Seeker Twitter Account, which happened to pass the 500 follower milestone this week. No matter how we extend your message within the competitive video game community, know that your opinion counts around here and Tournament Seeker has even more exciting developments to announce very soon.